The suggestions below on how to use guided imagery audio are generally applicable to the use of any guided imagery audio programs, although, they are written specifically for use with Dr. Miller’s CDs and MP3s for Deep Healing, Personal Growth, and Peak Performance. Congratulations! You have already taken the most difficult step on the path to creating optimal health of mind and body—you’ve decided you want to change. 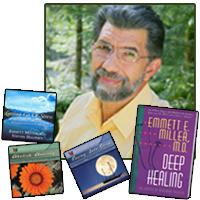 You will find these explanations and instructions especially useful for self-healing using Dr. Miller’s Guided Imagery audio, Meditation & Self-Hypnosis CDs and MP3 downloads you have received. Though deceptively simple and enjoyable, the processes have been developed over many years of careful study and application, and are very powerful. As you listen, you will receive suggestions, ideas, and ways of communicating with the cells of your body and with your own inner healing wisdom. Dr. Miller offers suggestions and guidance for dealing effectively with the challenges in your life, whether it is to facilitate healing, improve your performance or to enrich your life in other ways. 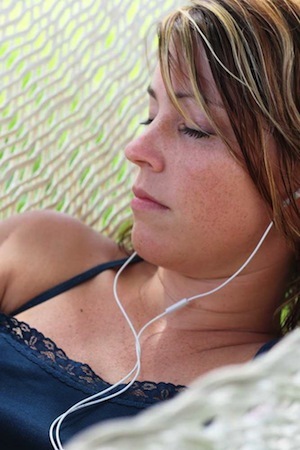 By listening mindfully and regularly, you will find that these deep relaxation and guided imagery audio experiences are potent tools for becoming the person you really want to be. The successes others have achieved working with these processes have been stunning, and the failures are most often due to using them improperly or not using them at all! They cannot help you if they remain comfortably nestled on your bookshelf. You should find each part of the program simple and easy to do, if you discipline yourself to practice regularly. If you find any part difficult or confusing, you may wish to consult a trusted physician, therapist, counselor or guide who can provide additional clarification or support. To break longstanding habits and establish new ones, you need skills as well as knowledge. Your Dr. Miller self healing, CD, or MP3 will teach you the needed skills and provide valuable information and understanding. Here are some practical hints that can help you achieve your desired goals. All of these might not apply to your specific case, but the more you can adopt and follow through on, the better your chances of success. It is OK to start with a few of them then add more as the days or weeks go by. In the beginning, it is important to create small successes. This produces the belief in your subconscious mind that you can use guided imagery effectively for personal change. The sense of confidence and empowerment that result will then make it easier to successfully take on even larger challenges. For best results, listen and participate as fully as possible every day. Two or three times per day is best, especially for serious conditions. Experience it at least once since we are retraining your mind and reflex responses that may have been present for many years. Just as learning a musical instrument or a complex dance step requires practice – repeating the desired sequence repeatedly – so too, your mind, emotions, and beliefs will learn best if you expose them to this positive sequence of experiences. 1. Be comfortable. Let your whole body sink downwards, imagining it being attracted by the force of gravity. 2. If you lie down, let your spine sink towards the surface you are on, especially at the waist level. When lying on a flat surface, it usually helps to raise your knees, with your feet about shoulder width apart and the toes pointing inward just a little to keep your knees from falling outward. 3. If you sit upright, keep your spine vertical so you don’t put any strain on your back muscles. But stay relaxed, keep your chin tucked gently in, your neck gently long, and don’t try to hold your shoulders up. 4. Except when instructed, relax the muscles of your face, your shoulders, and your upper back. Don’t be concerned about what you look like! 5. Breathe from your diaphragm, so that your lower belly, or abdomen, rises a little as you breathe in and sinks back as you exhale. Imagine a balloon inflating and deflating in your belly. Don’t hold your belly in, military style – let it hang out. 6. Try to listen to the recording in a room that has a soft, gentle lighting – a shaded lamp is better than a ceiling light, and both are better than a fluorescent lamp. 8. Listen in a quiet place. If there are disturbing sounds, it is often better to “white them out” with a steady background noise like a fan or an air conditioner. Best of all, use stereo earphones to listen to the programs – the kinds that cap your ears are the best. 9. Allowing your eyes to remain closed can help you concentrate. You may find they want to stay open first, but eventually you’ll probably want to close them. (If you are one of the minority of folks who can relax more deeply with eyes open, then feel free to allow this.) You will probably be more comfortable with your glasses off and contacts out. 10. You may become more relaxed than you are accustomed to being. Sometimes this may even feel as if you are a bit “out of control.” Fine . . . the part of you that has been in control needs to let go a bit in order to allow the flexibility you need to change. 11. Don’t worry if you find you have a stream of thoughts going through the back of your mind while you’re listening. This is not uncommon, especially at first. Let the thoughts come and go, without paying them any particular attention. If you find your mind following a train of thought, don’t get upset. Just let the thought go, focus again on what you hear on the recording, and move on. 12. Don’t let your conditioned mind tell you that you are doing this wrong. There is no one “right” way of doing it. Exactly what you are doing is right for you at the time. Like all skills, this one takes learning and practice. You will become more expert with time. 13. You may have some novel sensations, perhaps a feeling of floating or of tingling in your hands. Don’t worry about such mild and unusual experiences. Enjoy them and recognize that they reflect the positive inner changes that you are undergoing. Enjoy the process. Sometimes it’s good to ignore the words and just flow with the music and nature sounds. Balance, Stress and Optimal Health Suite is a great place to start, or Total Stress Relief Suite if you have significant stress symptoms. Single CDs you might like include Healing Journey, Letting Go Of Stress, and I Am: Awakening Self-Acceptance. Don’t forget why you are doing this! and your Complete Enjoyment of Life. Our Good Wishes are with you!